Class of 2017 guard Emily Beard of Dickson, Tenn., is one of the state’s top prospects in her class. 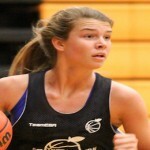 Class of 2017 point guard Emily Beard of Dickson, Tenn., has shown herself as a prospect to keep an eye on. 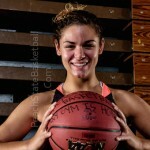 She has performed well at the CoachHemi.com Showcase and has a ProspectsNation.com Feature Player Eval completed as well. Congratulations to '17 PG Emily Beard on her signing to Union University. 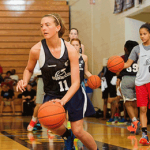 We've seen Emily Beard (TN) grow her game. Now, she'll take it to Union. Emily Beard is a skilled ’17 G option. 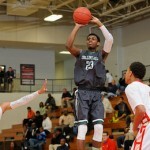 Has an #EBASuper64 bid June 4-5. ’17 Emily Beard (TN) lead Dickson Co. to the 3A State Qrt. this season. ’17 Emily Beard shot over 50% from 3-pt this season. #CoachHemiShowcase standout. Shooting over 50% from the arc, Emily Beard (TN-17) is in for the #CoachHemiWorkout. ’17 Emily Beard is playing well. Averages 17.7 ppg/3 ast/53% 3P FG.